If you are looking to get onto the property ladder, you have probably felt like the deck is stacked against you. And with rising house prices, stagnating wages and a growing reliance on the bank of mum and dad; it may seem that simply getting a mortgage, let alone owning a house, is impossible. Step one is as simple: work out which mortgage will be most suited to you. There are a great number of variables when it comes to choosing a mortgage, and it is very important that you are aware of exactly which mortgage plan fits around your life. From choosing between fixed or tracker rates, to deciding whether or not an interest-only mortgage could be the answer; there are many varieties to choose from. It is also worth considering the length of the mortgage term before committing to a specific loan. If you are unsure as to which kind of mortgage would suit your life, it is always best to seek professional independent financial advice. Save up to allow that deposit to grow. A mortgage is likely to be the largest loan that you ever take out, so putting down a bigger deposit can make all the difference in the long term affordability of the mortgage offered to you. A larger deposit will get you a better rate, so the higher your deposit, the lower your monthly mortgage payments. While it is true that some lenders now offer 99% mortgages, you cannot expect a good rate if you opt for one of these. Instead, save, save, save and aim to reach a deposit of 30% or more. This way you will acquire the best mortgage rates available. Being aware of your credit history – as well as creating one at all – and your corresponding credit score is of utmost importance before you apply for a mortgage. A high credit score is obviously a positive and will encourage lenders to offer you a better rate on your mortgage. A bad credit report, on the other hand, could see your application being rejected altogether – and all lenders will check this. If you have not built up a credit score, for example because you have never used a credit card this may also cause you problems. Thanks to the changes to GDPR laws, you will not have to pay a penny to access your credit report online. As such, there is no excuse for not being aware of your standing in the eyes of lenders before applying for any loan, let alone a mortgage. If you need assistance improving your credit rating, read our guide on the topic here. Paying off your debt will boost your credit score (see above) and shows lenders that you are not borrowing money simply to get by in other areas of your life. Any current debts in your name will count against you when applying for a mortgage. It is important to make sure that you pay off as much of possible, aiming for as close to a clean slate as you can get. Once you have cleared any debts, it is also a good idea to close any unused bank accounts. While having unnecessary accounts open is unlikely to be a dealbreaker in its own right, it can be a red flag for some lenders. Mortgage lenders want to be confident in the knowledge that, even if you do not keep up with your payments, they will get their money back. As such, it can be much more difficult to get a mortgage for a property that does not have an assured resale value. Unusual properties include flats above commercial units and buildings made from non-standard materials or even those in undesirable locations. 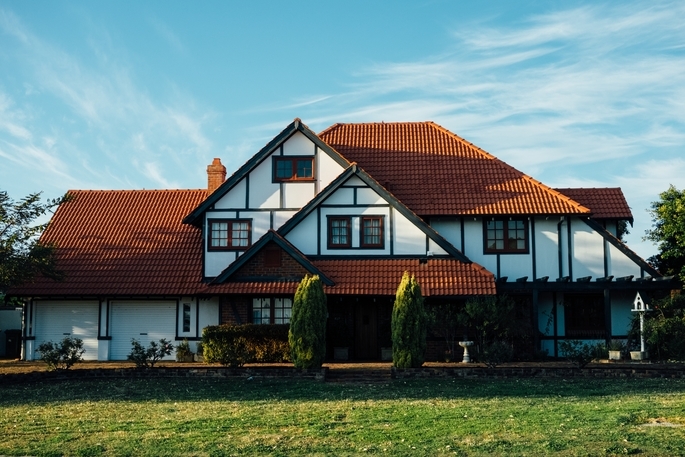 If you are planning on living in a more unusual property, it really is important to ensure that your credit report is spotless and that you have a great deposit to put down. If you are unsure, it is probably better to go for that classic two-up, two-down semi. Mortgage lenders will want you to be on the electoral roll so that they can confirm that you are who you say you are and live where you say you live. While you do not need to be registered to vote to have a great credit score, it is highly unlikely that you will be able to secure a mortgage without being on the electoral roll. Like anything on this list, it is always better to ensure that you are registered sooner rather than later. It can actually take a number of months to be visible on the electoral roll, so make sure you have registered to vote at least three months before applying for a mortgage. Remember, once you have registered, you should make sure that you have updated the address that your bank and any credit agencies have on file. If you frequently find yourself in your overdraft – let’s be honest – you are probably not in a position to be getting a mortgage anyway. Before applying, make sure you are out of the overdraft and entirely stable with your earnings. Some lenders will not even consider you if you have dipped into your overdraft in the past three months. Ultimately, relying on your overdraft is a sign that you may be living on the edge with your finances. Ensure that you have not dipped into it for as long as possible before applying for a mortgage. We have already addressed the fact that the more you can put down as a deposit, the better you look to a lender and the more likely to be granted a mortgage you are. However, you may find yourself close to a deposit band – usually, around every 10% of a loan – where simply adding an extra £100 to your deposit can make an impact. If you are interested in getting an 80% loan on a property – for example, £80,000 on a £100,000 home – it would be worth spending a little extra and borrowing £79,900 instead to acquire a better rate. All mortgages have a maximum loan-to-value ratio, and it is always better to borrow just below that amount. The big day has arrived, you are finally going to apply for your mortgage. But sadly you have been rejected, now what? Getting rejected by a lender is never a good feeling, but it can happen. If it does, pick yourself up, step back from the situation and relax. The key thing to do in this situation is to take it easy and do not immediately apply for another mortgage. Rejected loan applications can knock back your credit score and can easily start a cycle of applying only to be rejected again, with it being less and less likely that you will secure a mortgage with each application. Instead, work your way through this list. Check that everything in your credit file is in order and that you have done everything in your power to improve your chances of getting a mortgage next time. Give yourself a couple of months before your next application and, hopefully, you will be successful the second time around. Choosing a mortgage is an expensive, incredibly important (it can be life-changing) commitment. Therefore, it only makes sense to work closely with a professional to ensure that you are not going into the situation without all the knowledge that you need. A professional independent mortgage advisor can help you figure out which type of mortgage is best for you from a third-party perspective, while also seeking to get you the best deal possible. At IMC, we make sure that our clients are receiving the very best mortgage advice. Working with one of our independent mortgage advisors can help you rest easy knowing that you are seeking the ideal mortgage for your individual situation, while also being aware that we are helping you to improve your chances of being accepted for a mortgage along the way. Feel like you’re never going to be able to afford a mortgage? Read our summary of what you need to be saving for here. If seeking independent mortgage advice, you’re in the right place. Get in touch with IMC today and discover how our team can help you increase the likelihood of getting that mortgage.